Allentown cosmetic dentist Dr. Tomko has successfully used porcelain veneers to improve the smile of people one or more of these flaws. Schedule a consultation so she can evaluate your teeth for veneers! How Do I Know if Porcelain Veneers are for Me? At your evaluation visit, Dr. Tomko will examine each of your front teeth that show the most when you smile. These are the ones that will be considered for veneers. Then, she will assess the health of your teeth, gums and overall oral health. Before beginning any cosmetic dentistry procedure, we want to make sure there are no pre-existing concerns such as tooth decay or gum disease. 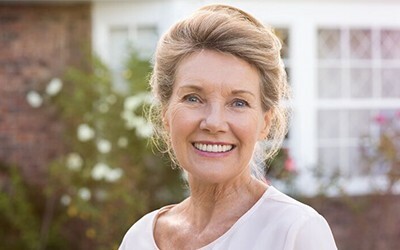 A well-aligned bite and no signs of teeth grinding or clenching are also important qualifications for porcelain veneers. First, your dentist in Allentown will need to prepare the teeth receiving veneers. This is done during the first of two appointments that are scheduled about two weeks apart. Dr. Tomko will remove a small amount of enamel from the front of your smile to accommodate the placement of your veneers. This step is irreversible once it’s completed, but is important to ensure the proper and comfortable fit of your porcelain veneers. With your teeth prepared, we’ll take an impression that we’ll use here in the office to make temporary acrylic veneers. Dr. Tomko attaches these to protect your teeth and give you some time to get used to the feeling of veneers before the permanent set is placed. The impressions are also sent to our cosmetic dentist lab where a skilled ceramist will hand craft your permanent veneers. When your veneers are complete, you’ll return to our office to have your temporaries removed and your new ones attached. With daily brushing and flossing, regular checkups and a little extra care—avoid biting hard foods and other objects with your veneers—you can look forward to your porcelain veneers giving you years of smiles!